Yun’s research is focused on computational advertising and the technologies that surround it. He currently heads up the Social Research and Technology Innovation (SRTI) Lab at the University of Illinois at Urbana-Champaign. 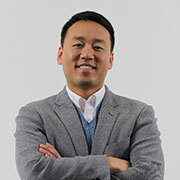 Dr. Yun is also an Assistant Research Professor of Advertising in the Charles H. Sandage Department of Advertising and the principal investigator of the Social Media Macroscope, which is an open research environment for social media analytics.